PET OWNERS HAVE been warned about the dangers of antifreeze after a number of cats died in recent weeks. Dr Alan Rossiter said he and his colleagues at Blacklion Pet Hospital in Greystones, Co Wicklow have seen three cases of antifreeze poisoning in cats in the last two weeks. He said this situation is “extremely unusual”, noting that he hasn’t diagnosed such a case in several years. Rossiter said the cats may have ingested the antifreeze as a result of people failing to clean up any excess antifreeze after using it in their cars. He said he has “no idea if it’s malicious” but said it’s “odd” that at least three cases have occurred in such quick succession. Rossiter said two of the three cats, which were all brought into his practice by concerned owners, who had ingested antifreeze in the Wicklow area had to be put down as “they had no chance of recovery”. “We managed to save one, which was the first one I have ever saved [from antifreeze poisoning] in 20 years. “The survival rate is less than 5% – if we had 20 cats in the practice with this, 19 will not survive. This is an awful poisoning. We want everyone to be extremely vigilant and to go to their vet immediately if their cat is unwell. A few hours can mean the difference between life and death. A spokesperson for the Dublin Society for Prevention of Cruelty to Animals (DSPCA) said they are not aware of similar poisoning cases happening in Dublin, but warned about the dangers of antifreeze. “If it is frosty, please think of animals and the environment – don’t use antifreeze on your car windows. Instead, spend a few minutes letting the car defrost with the heaters on or use warm water to defrost. They added that owners who suspect their pet or any animal has ingested antifreeze should contact a vet immediately. Rossiter said cats like the taste of the active ingredient in antifreeze – a chemical called ethylene glycol – and will often drink it if they find it spilled on the ground, perhaps after coolant or windscreen washer fluid is used on a car. A very small amount of antifreeze is toxic – 4ml for an average-sized cat can be fatal (1ml/kg of weight can be deadly). Stage 1 (within 30-60 minutes of ingestion): The signs include lethargy, vomiting, incoordination, excessive urination, excessive thirst, hypothermia, seizures and coma. “To all intents and purposes the cat is ‘drunk’ – ethylene glycol and alcohol (ethanol) are very closely related,” Rossiter said. Stage 2 (12 to 24 hours after ingestion): Some of the signs seem to dramatically improve, luring pet owners into a false sense of security. 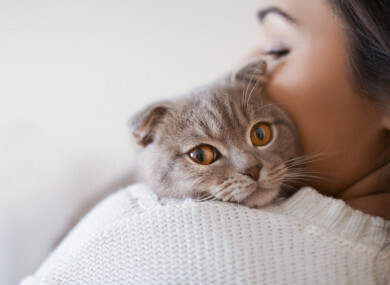 However, during this stage, cats become dehydrated, develop an elevated breathing and heart rate and severe, generally irreversible, damage is happening to their kidneys. Stage 3 (24-48 hours after ingestion): At this stage, signs of severe kidney failure become evident. The cat will become extremely dehydrated and will be dull, unwell and lethargic. This progresses to lack of appetite, vomiting, seizures, coma, and eventually death. Rossiter said if this type of poisoning is caught within three hours of ingesting antifreeze, vets can administer an antidote – via a drip for 48 hours – that can sometimes be effective. However, as the symptoms can be mistaken for other issues and people will generally not see their pet drink antifreeze, the damage is usually already done. Email “'Extremely unusual' cat deaths spark warning about dangers of antifreeze”. Feedback on “'Extremely unusual' cat deaths spark warning about dangers of antifreeze”.